Meta-CEL is a new dietary supplement designed specifically for individuals who are trying to gain lean body mass fast, without adding fat weight. Meta-CEL provides a precise synergistic blend of two revolutionary new complexes: Phosphitol and the exclusive Potentin, shown in recent studies to help promote volumizer transport into muscle cells and increase lean body mass-safely and effectively, without the use of high amounts of sugars and/or carbohydrates, harmful pro-hormones, or pro-steroids. I had been stuck on a 380lb squat for three reps for about 3 months.I tried meta cel one serving at night three days before my scheduled squat work out. In about two weeks,i improved to a 425lb 3 rep squat. My recuperation with this product has been better than anything I have tried.My quads feel fuller,and not as sore which is paramount in making gains. this is the best on the market that i have tried, i have been through creatine, weight gain, and single viatmins, but non worked, until this stuff, its incredible, the strength difference is within about 5 days!!! i would personally recommend this to anyone, but at £42 rrp, bet your thinking no way, give it ago, and you will notice the difference without a doubt!!! I'm a trainer in Los Angeles and I had 3 of my clients on meta-cel for 3 months with great results in return. 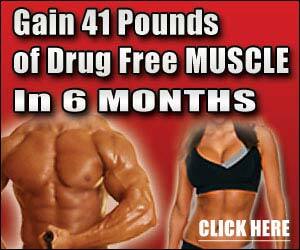 My clients all increased muscle size and more so strength while taking meta-cel, without retaining much water. It's one of the best out there, for me personally VAULT is probably no.1 it's the best creatine and arginine cocktail going right now.